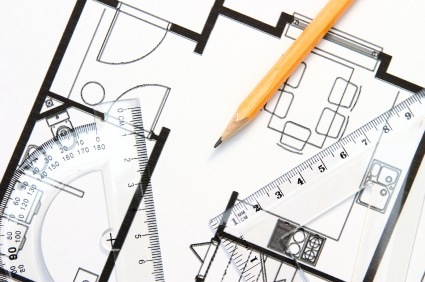 We have covered about AutoCAD new annotation features in the last post. In this AutoCAD what’s new wrap up, we will cover about blocks and references. There are some tools that can be used both for both of them (for example: XCLIP). Many people prefer to use blocks even when they should use XREF. There are some confusion, especially for new users (at least I did). If you are not sure when you should use XREF, and when you should use block, try to read block vs XREF comparison here. Now let’s see what are new features in this category. Blocks are your reusable contents. We repetitively draw many parts of our drawings. Typical objects and components, symbols, etc. Blocks has very important role in drawing productivity. I wrote an e-book specifically covering AutoCAD block for productivity. If you have read it, you probably understand how important it is. So it makes sense that Autodesk added significant new enhancements to this feature. This new capability changes the way we edit blocks. In the past, I remember that we have to explode the block, modify the objects, then recreate the definition to update it. To do editing now, we simply choose it, right click, then choose block editor from contextual menu. I don’t remember when this feature exist, but it’s been quite a long time. 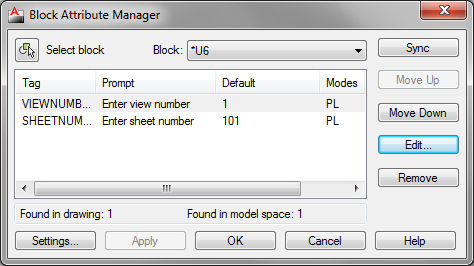 This new feature for editing is very important when we are working with dynamic blocks authoring and parameters. There is another alternative how you can edit block: edit it in-place. Using block editor will open the definition and hide all other objects. Just like you edit a drawing file. Editing the definition in-place will allow you to see and use other existing objects as reference. The most significant change in this category is probably dynamic block. It adds intelligence to your blocks, so you can have more flexible reusable contents. It can make our library simpler. Imagine that you can have one block definition. But when you need similar objects, but has different size, you simply drag the grip! Another thing this feature can do is it can recognize geometry and automatically align it. I like using it to create schematic drawings. See here in Daily AutoCAD how a circuit breaker can automatically aligned to the wire. There are many more it can do. But you need to be careful. It may looks different, but still using the same name. Remember this when you use data extraction to create a report. If you want to learn about creating dynamic block, try our tutorial here. AutoCAD now has parametric capabilities as drawing tool. The good thing about it is, we can also use it for blocks! If you work in manufacturing and familiar with constraints, you know that many standard parts use it. Many standard parts looks the same, only the sizes that different. 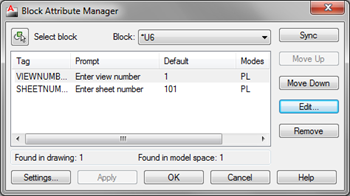 With parametric, you can have several sizes from the same definition. Aren’t we able to do that with dynamic block too? So what is the difference? Yes and no. Dynamic blocks work like we work in AutoCAD. When we need to rotate a line, we use rotate command. When we need to scale objects, we use scale. But parametric works by constraint definition. It will maintain the geometry and change the sizes by dimensional constraints. There are many things we can do with parametric design that work better with parametric features. This is a sample how you can use parametric feature in AutoCAD blocks. Autodesk add data extraction about in AutoCAD 2006 or so. It was attribute extraction (very limited to attributes) but now it can extract any data from your drawing. My favorite is using data extraction to create schedule from AutoCAD drawing. If you define your blocks correctly, use them correctly, then you can get huge benefits. One of them is creating schedule automatically using data extraction. 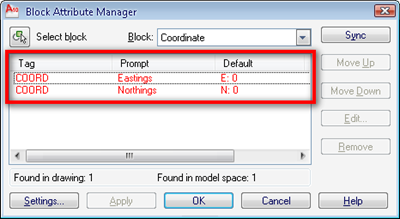 You can also create a report of coordinates for set points in surveying. In manufacturing, you can create a hole table. There are many possibilities what it can do. This is one of my favorite tools in AutoCAD. There are also some enhancements in external references. XREF now support many type of files. I remember in the past we need to use different tool (I can’t remember it’s name) to reference raster images. Now you can use XREF for images, DWG, MicroStation DGN (limited to 2D DGN), DWF, and PDF. When we created PDF and DWF using provided plotter driver from AutoCAD (and I know MicroStation can do that too for PDF) we will still get the layers information. So we can turn on/off layers when we use it as reference. One thing that bothers me is there is some accuracy issue with those two files. Especially in large models using mm units. Yes we can snap to the geometries, but if they are not accurate, then it’s useless anyway. We can control references using palette and contextual menu. However, now we can also use contextual ribbon tab. I think it is a very nice improvement. The ribbon is getting better in new version. If you work with XREF intensively, there were an issue with nested reference. Sometimes we need to use reference file when working. But don’t want the referenced file appear when people use our file as reference. We call referenced file within a reference file as nested reference. Now we can control the appearance by using overlay or attachment option. See the detailed explanation about overlay and attachment here. Now we can also edit reference file in-place. It is useful when we need to see other geometry from other drawing as references. 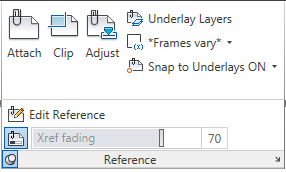 See Kate’s explanation about editing AutoCAD reference file in place here. So what is your favorite feature in block and references? Have you tried them all?